15,000 family history enthusiasts, hundreds of classes, tons of new technology to preview and dozens of A-list speakers. 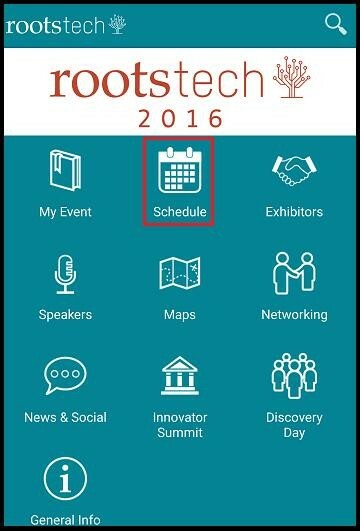 Creating a carefully-crafted conference plan is one of our key ways to succeed at RootsTech 2016. It's easy to get overwhelmed, especially if it's your first conference - how will you make sure you don't miss that perfect class, speaker or demo? 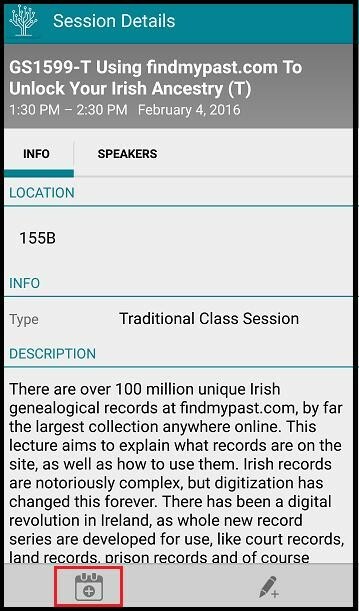 The RootsTech Mobile App is your answer. 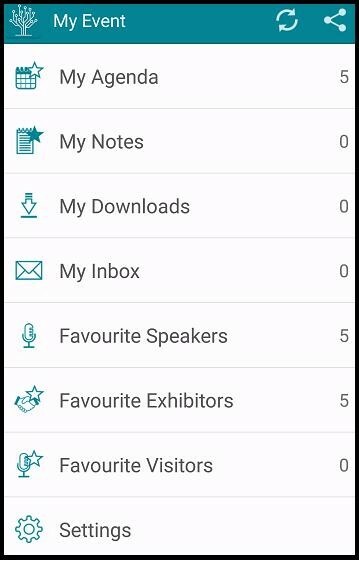 The year, the folks at RootsTech have released an amazing smartphone application that can be used on an iPhone or Android and it promises to revolutionize your conference experience. The application is essential to organizing your conference schedule, getting important updates and connecting with other genealogy-buffs. Our favorite thing about the RootsTech app is the ability to browse conference offerings. 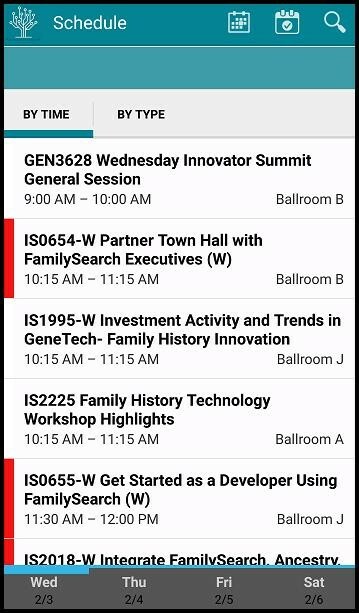 The best thing about having the entire RootsTech 2016 schedule and details at your fingertips is that you can browse any time - on your commute, at the gym or while watching TV - take the chance to find can't-miss conference opportunities and use the app to keep them organized. 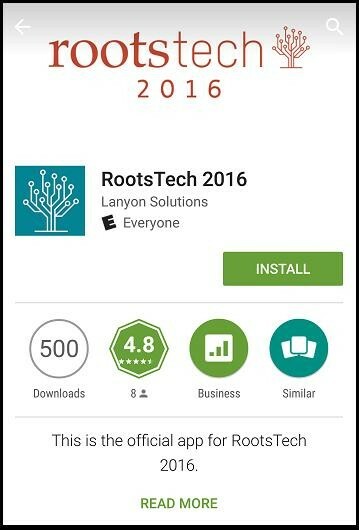 If you're using an iPhone, find the button for the "App Store" on your phone's home-screen and search for "RootsTech 2016" in the search bar. If you're using an Android phone, you'll want to find the app through the "Play Store". Hit the "install" button, and then "accept" the terms and conditions. Your phone will take care of the rest of the installation - it should be a very quick process. Next, hit the "open" button, or tap the icon on your phone's home screen. If you can't find it on your home screen, see how to add an icon to your home screen for Android and iPhone. The first screen you'll encounter will require you to use your email and password that you chose when registering for the conference. You can register if you haven't yet, or you can continue as a guest. Once you're logged in, you will see the beautifully designed home screen. The best thing about the app is that it's very intuitive and straightforward. To go to any section, simply touch the icon above the word. First, we'll take a look at the schedule. Tap the calendar icon, highlighted in red below. Here you will see the master schedule for all of RootsTech. You can sort the events either by time or by type. At the bottom of the screen, you can navigate between days of the conference. To see the details of any event, just tap on the title. For each individual event, you will find all the details you need, including a description of the event. If you're interested in attending an event, hit the calendar icon with a "+" on it in the lower left (highlighted in red below). 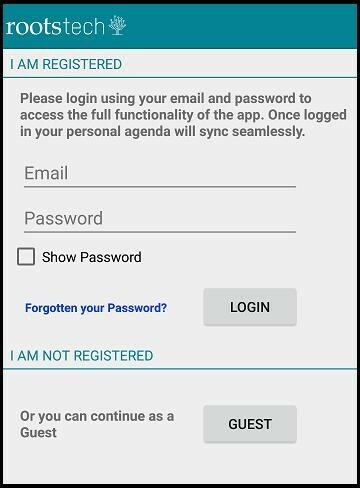 This will save the event and add it to your personalized schedule in the application. 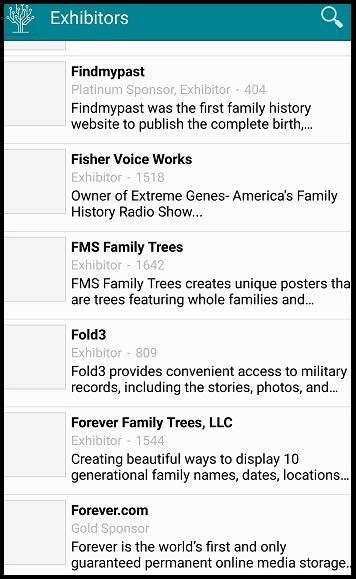 You're able to add an exhibitor to your favorites list by tapping the star in the lower left corner of the screen. You can do the same with speakers as well. At this point, take some time to browse the schedule, exhibitors and speakers list and favorite the ones that you want to remember. Once you've compiled a nice collection of your interests, go back to the home screen and tap the "my event" icon - this is where it all comes together. In this section you'll be able to review everything you have saved. Events will be entered onto your schedule, and your favorite speakers and exhibitors will be in a nice convenient list. Use this successfully and you won't miss a beat! The best part is, the app is available for download right now, free of charge. 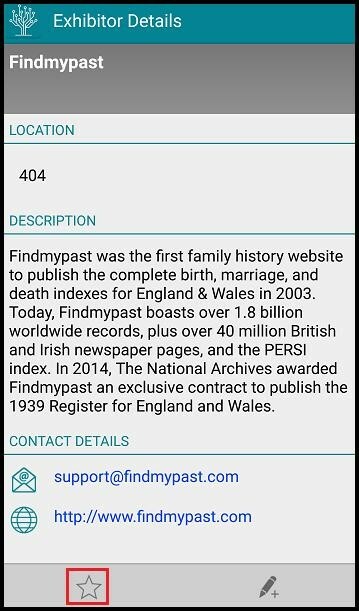 Download it today and make sure to do some thorough browsing right from your phone - you never know what you'll discover!